I was looking for some of the flute players who have influenced me. Soon Charles Lloyd came to mind. 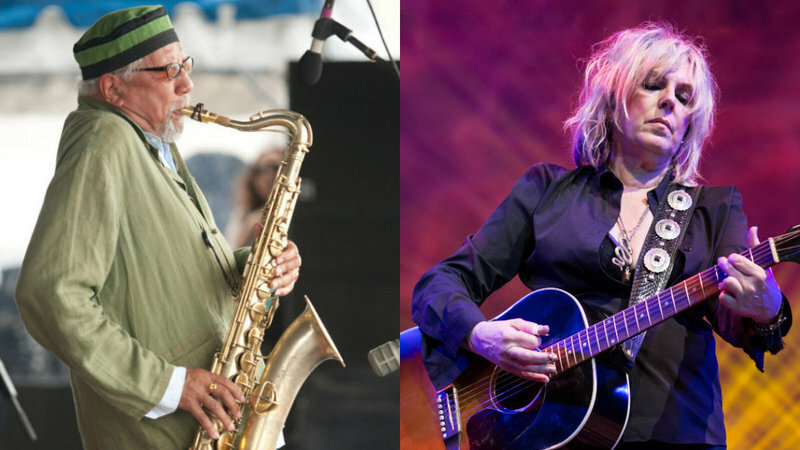 While searching, I came across this article by Nate Chenin for NPR, in which Charles Lloyd and Lucinda Williams perform Bob Dylan’s song, ‘Masters of War’. (click to listen) I’m riveted by the raw emotion these performers wring out of their hearts. My dear friend Jim Goodman gifted me a cd of his before I left for the wild southwest. This was my introduction to Charles’ music. The gift of the cd touched me deeply as a flute player because I had been performing with Jim in the band Zambra. Listen to this track ‘Yom Zeh‘ from that era. Lucinda Williams has been part of the soundtrack of my life for years. It all began on a cold winter night with my friend Abbie Twombley. We went to the Riverfront to hear her perform. Soon her song ‘Passionate Kisses’, would be covered by Mary Chapin Carpenter, but at that time she was still relatively unknown. Abbey and I were two of only about five audience members. Included in the lineup is Bill Frisell on guitar. His cd, ‘Blues Dream’ (2001) defines for me the year of Friday Night Church sessions at Jason Hammond’s house. After the Friday night “Church” jam sessions, this cd was often put in the rotation, the playlist of the post-jam conversation. Then I found the whole first set of this concert, wowzers! what a find! Charles Lloyd & The Marvels with Bill Frisell – 2016-01-30 set 1 – Lincoln Center, New York, NY. The concert starts with a groovy, atmospheric piece, the next tune features Charles Lloyd on alto flute. The concert includes astonishingly haunting versions of Shandandoah, La Llorona, and goes on – I feel so lucky to be able to hear this online!